The House considers IRS oversight bills in time for Tax Day and celebrates 100 years of women in Congress. 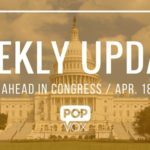 The Senate nears the finish line for FAA reauthorization and may take up an energy policy reform bill before the week is out. This bill prohibits the IRS from hiring anyone with a seriously delinquent tax debt, i.e. a debt for which the IRS has filed a notice of lien in public record. This bill prohibits the IRS from hiring anyone who was previously employed by the IRS but removed or misconduct or cause. The bill requires the IRS to deposit user fees for services in the general fund of the Treasury and prohibits expenditure of the fees unless there is a Congressional appropriation. The strategy must include: (1) appropriate telephone and correspondence levels of service; (2) an assessment of which services the IRS can shift to self-service options; and (3) proposals to improve customer service over the short-term, the medium-term, and the long-term. This official IRS Publication 17, Your Federal Income Tax for Individuals, covers the general rules for filing a United States federal income tax return. IRS Publication 17 helps identify which filing status you qualify for, whether you can claim any dependents, and whether the income you receive is taxable. It also explains the standard deduction, the kinds of expenses you may be able to deduct, and the various kinds of credits you may be able to take to reduce your tax. 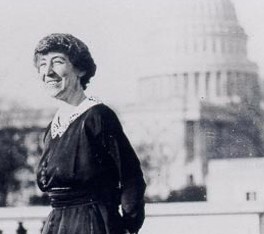 The bill would rename a STEM grant program to honor the first woman elected to Congress, Representative Jeannette Rankin from Montana. Representative Rankin was elected on November 7, 1916, almost four years prior to ratification of the 19th Amendment to the U.S. Constitution giving women the right to vote. Now, 100 years since the election of Jeannette Rankin, 108 women serve in the 114th Congress, more than at any other time in history. Rankin was not only a pioneer in national electoral politics, but also a pioneer as a woman in science, graduating from the University of Montana in 1902 with a Bachelor of Science degree in biology. The bill renames a program providing grants for women and minorities in STEM fields (Science, Technology, Engineering, and Math) as the "Jeannette Rankin Women and Minorities in STEM Fields Program Grant." The bill would bring consistency to the range of the anticipated value of federal procurement contracts that must be reserved exclusively for small businesses. Currently the range of the anticipated value must be between $2,500 and $100,000. Under the bill, the new threshold will be between the micro-purchase threshold ($3,000) and the simplified acquisition threshold ($100,000). The bill would expand the duties of the Office of Small and Disadvantaged Business Utilization (OSDBU) to ensure that purchases are in compliance and have been properly recorded in the Federal Procurement Data System. The bill clarifies that Small Business Administration (SBA) procurement center representatives (PCRs)may review federal procurement, and attempts to ensure that contracts across the government are structured in a way that maximizes opportunities for small businesses to compete. The bill would amend the Small Business Act and require the Small Business Administration (SBA) to establish small business size standards for agricultural producers through the notice and comment rulemaking process. In contrast to the size standards established for all other industries by the SBA, the size standard for agriculture enterprises is established by statute and has not been updated in 15 years, according to the Small Business Committee. The bill provides measures for oversight of the development of a planned DHS headquarters campus for the agency in Washington, D.C.
H.R. 4605: To designate the facility of the United States Postal Service located at 615 6th Avenue SE in Cedar Rapids as the "Sgt. 1st Class Terryl L. Pasker Post Office Building." A cloture vote is expected on Monday on the FAA reauthorization, kicking off 30 hours of final debate before a final roll call vote later in the week. When the Senate finishes work on the FAA Reauthorization, it is expected to move to the bipartisan energy policy bill that was tabled last year. The bipartisan act is spearheaded by Senate Energy and Natural Resources Chairman Lisa Murkowski [R, AK] and Ranking Member Maria Cantwell [D, WA]. The comprehensive legislation is aimed at updating the nation's power grid and oil and gas transportation systems.